Do you own a website, an online store or a blog? How is that site ranked on search engine result pages? To get high ranking on search engine result pages, your site must be well optimized. The main search engine optimization element is the use of niche-specific and authoritative keywords. If you aren't well-versed with content marketing, you may need a professional’s help. However, you should learn what it’s all about. Online research will put more emphasis on having the right online marketing tools and this includes the best keyword research. Keyword research is the best strategy to help you find the right keywords from your niche in relation to its relevance, appropriateness, and competitiveness. So, why do you need to undertake keyword research, besides getting the few keywords or long-tail phrases? Highly ranked websites have the best keyword research strategies. When you use the wrong or an inappropriate keyword, you find that you attract the wrong audience or no audience at all. The chances of the target market knowing about your website are too low. Poor keyword use often leads to a misdirection of potential clients to other sites with products close to yours. Good keyword strategies always direct the right traffic to your site. 2. You reach the target market in your niche. The best keyword research tools guide you in filtering out the unnecessary words leaving you with a few relevant options that speak about your products and the intended market. This is because you can analyze the keywords’ trends and the best keywords used by your competitors. For you to optimize your pages, you must have the right words and phrases to describe content and products with. Your content marketing strategy depends on your having qualified words to create quality leads and traffic to your site. In simpler terms, you cannot identify the topics to write about and the best places to share the content without leading words or subject lines. The Amazon Merchant Words and Keyword Product research tools will help you find the perfect words to guide your content marketing strategy. With the right keywords, you can focus your page’s content on that one single topic. Since most readers and shoppers want to be convinced to buy your products, the great content carved around the keyword or phrase will sell your products and services. The best keyword research tools help in determining the amount of time and money to be spent on a topic. Unique and highly competitive keywords only result in leads and conversion if used appropriately. 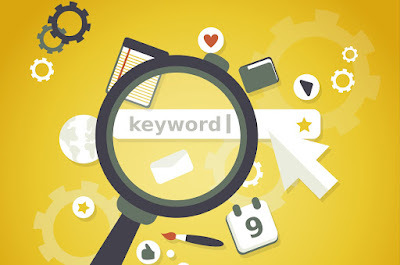 The best keywords may demand a little more resource injection for good return. The assumption that your customers like your product and that any word related to the subject or product will expose your business is wrong and will only lead to failure. There are specific words and phrases used by customers. For the lazy marketers, you may start with Google’s “Related Searches”, “Google Autosuggest” or “Google Autocomplete”. Let’s just say that if you want a successful online business, you must have the right keywords and keyword phrases. There is no way around search engine optimization. Most keyword research tools are free. Get one. Adam Fisk is a WordPress Developer at a leading Freelancing site. Visit his blog for more information on the use and the benefits of the Amazon Merchant Words and Keyword Product Research Tools.